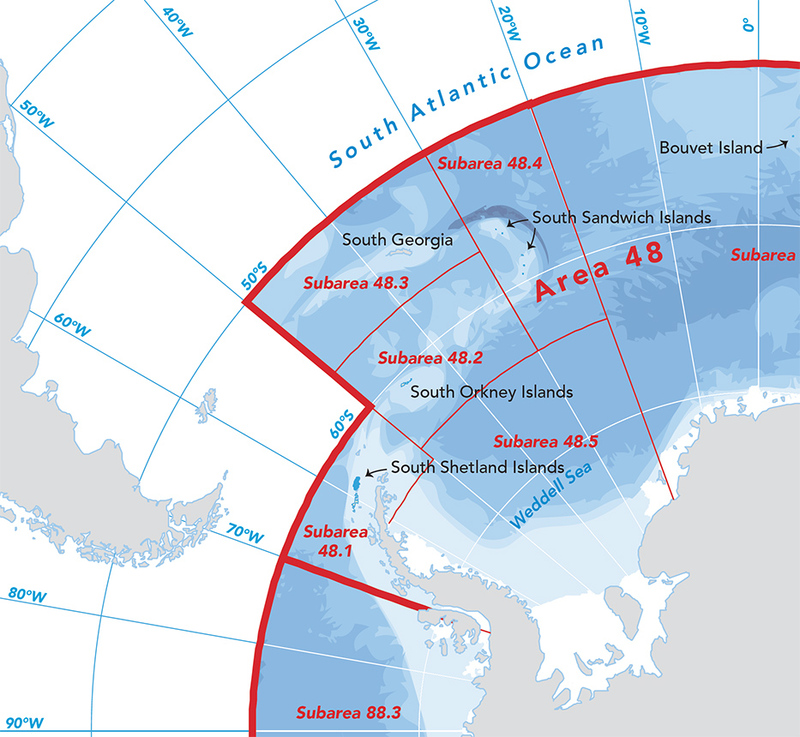 The Commission for the Conservation of Antarctic Marine Living Resources, or CCAMLR, is a part of the Antarctic Treaty System and has the purpose of conserving marine life south of 60° South latitude. The organisation needed a good-looking map that clearly delineates the various statistical areas that are used in its operations. 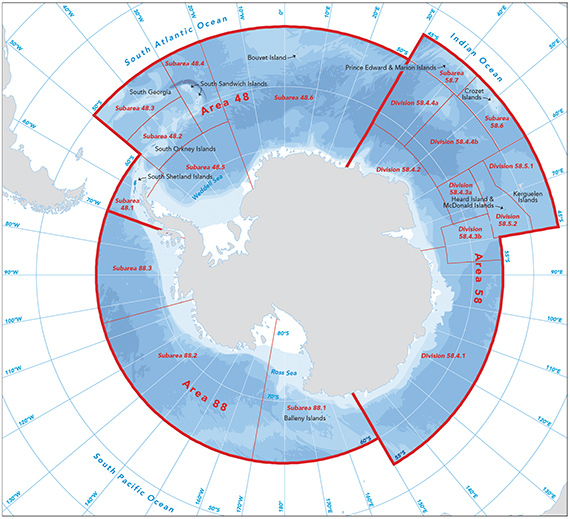 Maps of Antarctica are always a pleasure to make because the shape of the continent is so pleasing to the eye. Since CCAMLR uses the areas and subdivisions to quantify marine life and related statistics, we chose an equal area projection, the South Pole Lambert Azimuthal Equal Area projection. A dull grey was chosen for the land mass to focus attention on the water instead.